Well, that’s a wrap everyone. Twenty-Six weeks down and now we have 26 more until the start of next year’s fantasy baseball season. It’s perfect symmetry, because fantasy baseball is the perfect fantasy sport. The Fighting Hams weren’t perfect, but they were good enough to squeak out an overall Razzball Commenter League Championship over 1-800-BETTSOFF. The Fighting Hams won by just 0.2 RCL points, the closest mark since 2014 when Colicky Fuddruckers won by just 0.05 RCL points. The Fighting Hams hung around the top 20 most of the season, entering the top 10 in week 14, but falling back out the following week. The Hams re-entered the top 10 in week 19 in 4th place overall and wouldn’t fall below 5th for the remainder of the season. In week 23 they took the overall lead and held it for the final 3 weeks to win the title. The Fighting Hams really rake it in, winning themselves a $250 Best Buy gift card! More importantly though, the Hams get a Razzball T-Shirt and RCL glory. Who can put a price on that? Oh, it’s $25, well then, moving on. I don’t believe The Fighting Hams have checked in via comments at all this year, but I could be wrong. Now would be a fine time to do so either way. It’s time to heap on the praise and accept your congratulations. The Hams fended off some very tough competitors this year to claim the RCL crown. I gave it a run, LauraHolt was pushing for a top spot for awhile there and Backdoor Cutters and STL Squat Cobblers are some of the best RCL players I’ve played with in my time. This is The Fighting Hams’ moment though, so hopefully they show up, take a bow and soak it up, they earned it. I’ve been thinking about this post for awhile. It’s sat around in my head, trying to think of a dynamic opening. I guess it never came. Today will be my last post as prospector at Razzball. 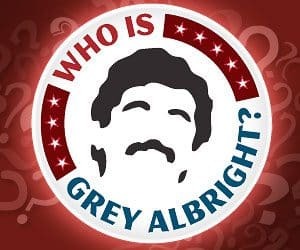 I won’t be leaving altogether however, I’m sticking around for the Razzball Podcast with Grey and rest assured the Prospect Podcast with Lance isn’t going anywhere. My efforts for 2019 and beyond as far as writing go, will be on my new site Prospectslive.com. This adventure over the last five seasons has been a blast. This was my first and only writing gig, and for that opportunity I’m forever grateful to all those involved. So while I’m leaving in one form I’m not gone altogether. Before I step aside there’s a few characters in this play I’d like to thank. And so the offseason truly begins this week on the Razzball Prospect Podcast, as Lance Brozdowski and yours truly, revisit the July edition of my First Year Player draft rankings. We talk Gorman, Bohm, India, and others at the top. Get a hot take on Xavier Edwards value, and talk some of the other risers in this year’s draft class, as we begin to prepare for our offseason drafts. We open the show with some brief discussion of the Padres vs Rangers On Deck Game, discussing some of the top performers from both squads. 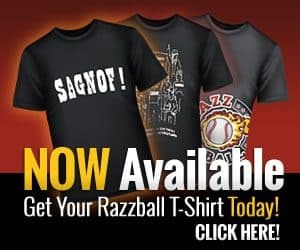 As always make sure you stop by Rotowear.com, and support our sponsor by picking up some of the freshest T-shirts out there.